The Haitian President Joseph Martelly and Prime Minister, Laurent Lamothe Savior, have declared a state of emergency for the entire country, given the “gravity” of the destruction left by Hurricane ‘Sandy’, which are attributed to least 54 deaths in the Caribbean state. The declaration will remain in effect until November 30, a month after its signing and publication, according to the news portal Alter Presse. The Communications Minister Ady Jean Gardy, explained that the Constitution permits such exceptional measures, in view of “The gravity of the situation” by the passage of ‘Sandy’, it has become necessary to approve the state of emergency. Haitian Civil Protection has been estimated at 54 the number death by hurricane winds and rain, which has also caused havoc in Cuba, Jamaica and the Bahamas before moving to the United States and Canada. In addition to the 54 deaths, Civil Protection has reported on his Twitter account of 21 missing and 20 injured. 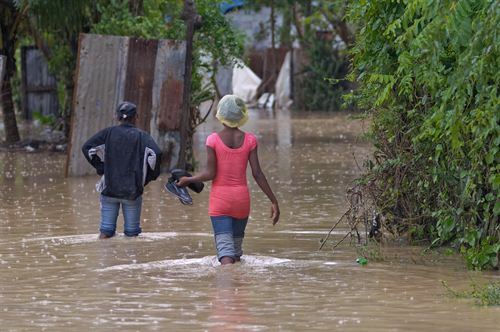 ‘Sandy’ has flooded large tracts of the southern part of Haiti, where there have been serious damage to crops. Authorities fear a surge in global food and health complications, with a greater spread of diseases like cholera. A nurse who works at one of the centers of the municipality of Maniche in the South department, has warned that his clinic to have reached at least 78 people sick with cholera, of which eight have been killed since the hurricane. The clinic, located in the Dori, was reinforced over the weekend with more medical staff in anticipation of further spread of the virus, but still lacks medical and nurses has just as AlterPresse. At least 40 people have died in the eastern United States, 22 of them just in the city of New York, following Hurricane ‘Sandy’, already weakened by several of the states of this region of the country between Monday and Tuesday, according to the latest balance sheet that reports CNN agency. The city of New York has been the worst part, because according to the latest report from the police, at least 22 people have been killed. In addition, 1.9 million people are still without power, while waiting for the city to recover partially normal today. Thus, although the metro is not expected to reopen for several days because their tunnels have been flooded, the bus service will be restored today, although the company has warned that city might have detours and retrados. Furthermore, JFK and Newark airports are scheduled to reopen today, but offer limited services, while La Guardia closed for now. Furthermore, it is also expected to reopen today after Wall Street closed two days and will be the city’s mayor, Michael Bloomberg, in charge of ringing the bell. 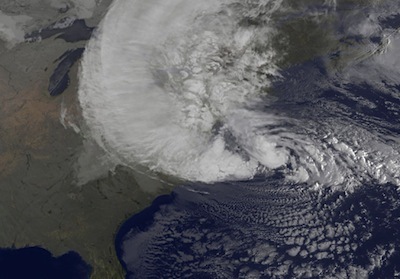 The second most affected state was New Jersey, where ‘Sandy’ landfall Monday night. Here, according to its governor, Chris Christie, has been at least six deaths. In addition, there are about two million people without electricity. It is expected that President Barack Obama on Wednesday to move to New Jersey to see in situ with Governor damage caused by the governor, talk to those affected and to thank the emergency services, as reported White House. In this state transport services have also been badly damaged. In the specific case of a train service every day some 245,000 people moved to below the Hudson River to New York, Christie has predicted that it will take six to nine days to restore service, while train services, bus and city tram New Jersey also remain suspended for now. In Pennsylvania have been counted so far three people dead, including an 8 year old boy who was crushed by a tree branch. In this state there are also more than 900,000 homes without electricity. In Connecticut there have been two deaths, one of them a firefighter, both killed by falling trees and there are about half a million homes without electricity. There are also two fatalities so far in Maryland as in North Carolina, where the captain of the replica of the British ship HMS Bounty ‘, which sank, still missing, but virtually restored electricity throughout the state, if While remaining a state of emergency in 24 counties by snow. In Virginia there have been two deaths in traffic accidents and 60,000 people are still without electricity, while in neighboring West Virginia has been a dead man. In both states are now showing significant snowfall. In other states like Delaware, the District of Columbia (where the capital, Washington), Maine, Massachusetts, New Hampshire, Ohio and Rhode Island are thousands of households without electricity. Hurricane ‘Sandy’ continues its march to the U.S. with wind gusts up to 150 kilometers per hour, according to a report by the National Hurricane Center (NHC) that at 14:00 on the east coast – 19.00 CET in Spain – cyclone stood 180 kilometers of Atlantic City and 285 miles from New York. ‘Sandy’ is progressing at a pace of 44 kilometers per hour and to the northwest, which will take you to make landfall in the afternoon, according to forecasts from the NHC. Hurricane remain unchanged in its path and intensity until, at night, vary somewhat their way westward. Forecasters predict that ‘Sandy’ becomes a low pressure system over the day or longer in the early hours of Tuesday, but these changes do not deplete their strength. In this sense, not lose intensity until advance further inland.